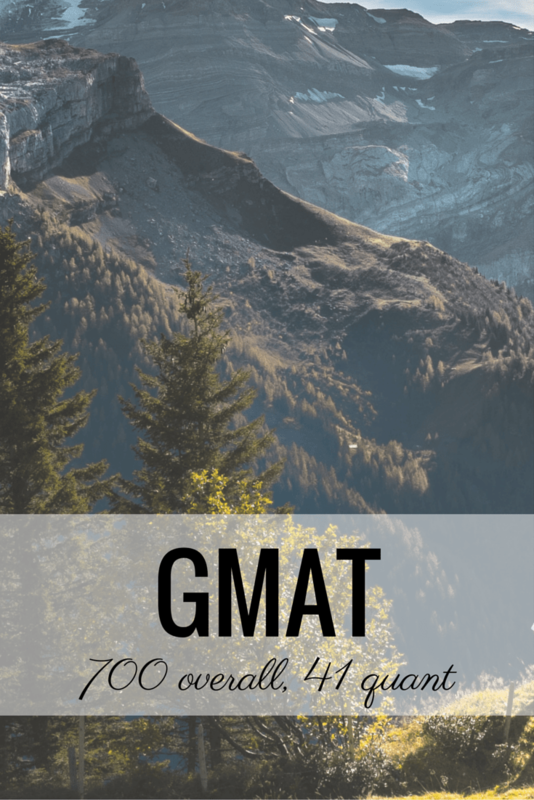 The GMAT: Is It Possible To Dramatically Improve Your Verbal Score? I scored a 700 on the GMAT with Q41 and V45, IR 5. I’ve a background in management consulting in Kenya. I’m pretty sure I can write stellar essays and my recommendations will be great. One of my recommenders features in a top3 b-schools case study. My challenge is I struggle with std testing. I can’t improve my quant score dramatically. I started out at 32 and got it up to 41. But I work in a highly analytical and quantitative job and excel at it. Math scores from undergraduate are in the 85th percentile. My target schools are top10. Do you think I can wing it based on my work ex and the fact that I come from a pool with relatively low competition. 32 to 41 is a nice jump. Good work. I might disagree with you about your ability to move it to 47. Plenty of students have before you. That said, if you aren’t willing to, that’s that. If you’ve taken 2+ times, you can be done and yes you can gain admission to top 10. If you have only taken once, you need to sit for a second test or you risk looking profoundly ignorant (of the bschool game) or arrogant (as though the “rules” don’t apply to you). Some readers – adcoms – will penalize you harshly for sitting once. As it is, you may gain admission, but conditional based on your completion of quantitative coursework. Really depends on what your job is and the level of proficiency you can demonstrate. If you have successful quant coursework or easily understood quant skills, please write the extra essay describing those skills so an adcom can give you a better read. DO NOT say “I’m bad with std tests.” That’s a total cop-out. Know that you will be judged even more harshly by some adcoms if you say you stink at std tests. It’s a common pet peeve. No matter what ails you, there’s someone who overcame a bigger hurdle so don’t go there. All the best with your applications. Ask Kate: GMAT Score 730 with 47 Quant – Good Enough for Top Bschools?